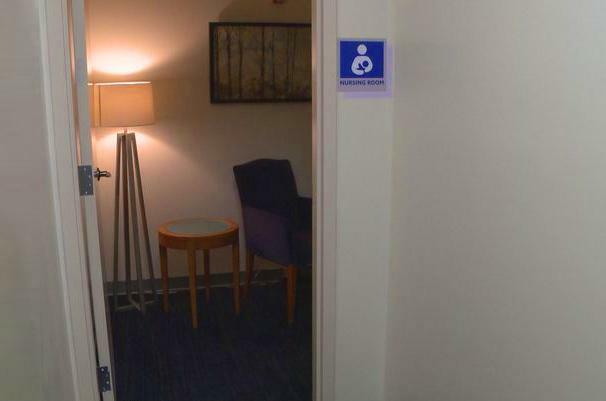 Breastfeeding and breastpumping moms now have a private nursing mothers room to express milk for their babies inside the Knoxville Convention Center. The new room, is located under the escalator just inside the Cumberland entrance, and is open when the facility. In fact there's a nursing room and a family restroom. The mothers room provides a private, quiet environment for mothers to breastfeed or breatpump as needed. Also Important: The administrative offices can still be used if several women need to pump at the same time and this dedicated room is occupied.